"Kindergarten is like the ocean; you never want to turn your back on it." MY BLOG HAS MOVED LOCATIONS! You can come follow me at Miss A’s Kindergarten if you would like to see brand new posts! I appreciate you stopping by, and I hope that I will see you on my blog. Thank you! You can click the picture below to take you to the new page. 1. Finish organizing and redecorating my bedroom! I have been cleaning and organizing this whole week, and I’m working towards a nice relaxing theme for my room. Maybe turquoise, black, and white like this room. Who knows! I’ve already moved a ton of stuff out. 2. Make this super cute menu board with my mom. SO awesome! 3. Craft some awesome numbers and letters bean bags out of felt that my cooperating teacher (during student teaching) made. They were too fun for the fourths, and I’m sure that my kinders in the Fall will L.O.V.E. them! 4. Decorate my brand new CLASSROOM! I can’t wait to set everything up and find out what I get to use in it. My theme idea is Jungle/Rainforest/Safari. Of course. I keep looking up stuff online to print just to add a little something extra to the room. If you have any suggestions/advice for my first year, don’t hesitate to comment below! 6. Spend July with WR. He should be coming to the States this summer and I can’t wait to show him around my city! It’s going to be a blast. Summer 2012 is going to be great! I hope that you enjoyed reading my blog. Come back soon for more updates on my adventure in teaching! Leave a comment if you have any other fun things I should add to my list! 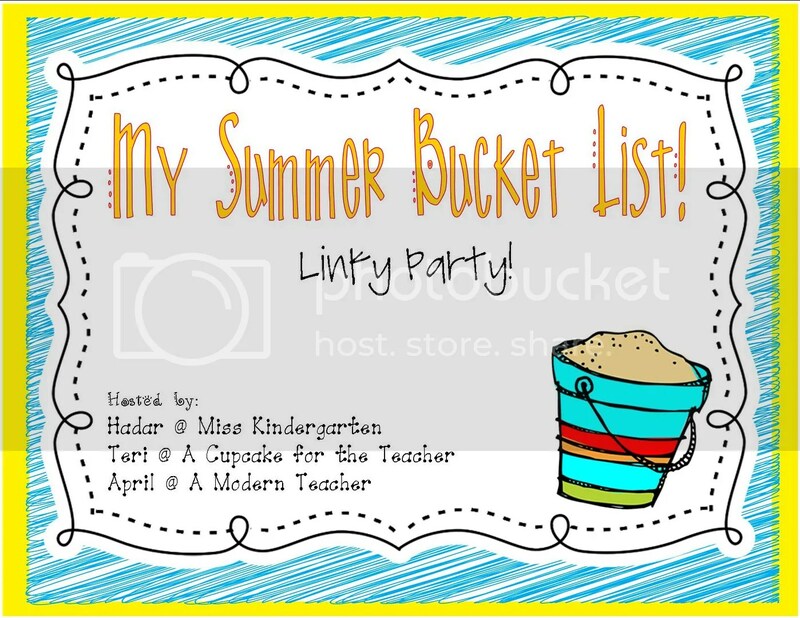 Posted on May 12, 2012, in Uncategorized and tagged adventure, aqua, beanbag, bucket list, classroom theme, crafty, first h, first home, graduation, july, jungle, kinder, kindergarten, linky, menu, money, organizing, party, rainforest, redecorating, safari, summer, turquoise. Bookmark the permalink. 14 Comments. That door is seriously the cutest!!! I need to do something amazing with my door this year!! Congrats and good luck with your first year!! That door is adorable! We have a school wide theme Wild about Learning. We all have trees in the hallway and many of us have trees in our classroom. It is a fun theme. Congrats on teaching Kinder. I have lots of *freebies* you might be able to use. I also share about Conscious Discipline if you want to come read about it. It is amazing and all about building your School Family. Wow that sounds like an amazing school! I would love to work there 🙂 I’m excited to implement that theme in my own room. Thanks for the good wishes. I’ll definitely come follow your blog and see all the fun things you post. I’ve never heard of Conscious Discipline, so I’ll be checking that out too!! I appreciate your comment! Oh I love that menu board! Thanks for sharing and congrats on your new room! I know! It’s so cute. 🙂 We got all the supplies for it, we just have to make it. Thank you so much! Do you have any suggestions on ways to assist people in following my blog? Google doesn’t offer FriendConnect anymore, so I’m not sure how to get people to follow me! 🙂 THANK YOU for being my first follower!! I’m so excited about this journey. Thanks for following, Michelle! How did you go about it, if I might ask? I’m trying to find better ways to allow people to follow me. Any suggestions? That’s my plan too! I rarely, if ever, cook. Maybe that should be on my bucket list too!! 🙂 Thanks for commenting, Michelle! Today is the big day! Can't wait to meet my kinders! The cute clip art and background credit goes to Scrappin Doodles and Just So Scrappy Too! Thank you for the quality products you created to make my page just that much prettier!